I stumbled across an old school R/C video recently on YouTube that covers the early beginnings of remote control cars. Little did I know that when I clicked that link I was going to be given a lesson in R/C history. 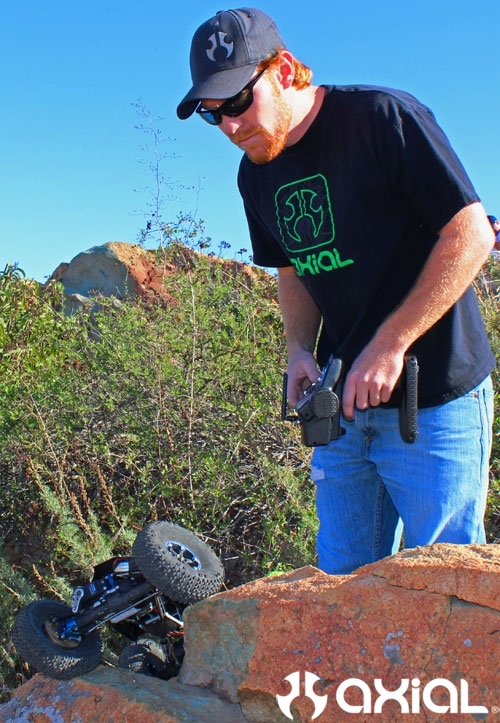 I think most people will be surprised to learn that the R/C movement started right here in sunny Southern California, and not overseas as I personally thought. That’s right, the first R/C car was built by Norbert Meyer here in the states. Norb is also known as the “Father of R/C Racing” because of what he and a handful of others started back in the mid to late 60′s. According to my research Norb Meyer and his neighbor Bob Blair built the first two R/C cars in existence. These were basically high end slot cars, without needing a slot to race in. Of course with any new “outside the box” idea there will be nay-sayers that say it can’t be done. Experienced hobbyist told them the radios wouldn’t work in the cars because of all the chassis vibration. Well, apparently they found a way to make it work and I would personally like to thank them for that. Not long after Norb had invented the first true remote control car, a guy by the name of George Siposs would meet Mr. Meyer and the official history of R/C was started. If you are not familiar with the name George Siposs, he started R.O.A.R. (Radio Operated Auto Racing Association) in Anaheim, Ca back in 1967. He is the voice narrating the video below too. In an effort to spread the word about R/C, George even ran ads in Road and Track magazine back in the day. When George and Norb would show up to race, they would lend their spare personal hand-built cars to spectators to race as well, just so they would have more than 2 cars on the track at the same time. Now that is dedication!! Keep in mind every part on these vehicles was hand fabbed, wheels, body, chassis and suspension. Norbert Meyer and George Siposs started the first ever R/C manufacturing company, RA/CAR. They built parts to support the classes of R/C’s they were racing at the time. These guys are credited for inventing servo savers, heat sinks, and a handful of other well known R/C parts that we use today, according to my findings. One thing that always comes up in the articles and videos I have seen is how important “scale realism” was to these guys, very similar to the scale rock crawling builders of today. It seems that every aspect of this hobby comes back to the scale details in the end, I think that is the biggest attraction for R/C newcomers. The rules even required cars to have a driver figure, realistic number plates and realistic bodies to be legal for the races. And at one point they contacted BFGoodrich and got permission to run the BFG logos on their tires. Fast forward the reel to reel projector to 1969 and the first National R.O.A.R. race. This is the race that is featured in the video below. The video description says it is the race from 1967. But, after my research, and watching the video, it appears the first true nationals was held in 1969 in Garden Grove, Ca., and this video is from that race. There were many variables that had to be overcome to win the national title. It wasn’t just about who could complete the race the fastest, you had to look good doing it too. They also incorporated “Lemans” style starts as well, which is awesome in my opinion. For the start of the race the drivers stood on the opposite side of the track from where the drivers will stand during the race. Once the race was started drivers had to run to their car, put the car on the starter box, fire the nitro engine up, and run 50 laps without breaking down. If that task wasn’t tall enough, you had to compete in a slalom course and your vehicle’s scale looks had to be judged in the contours event too. Something that I find to be very cool!! 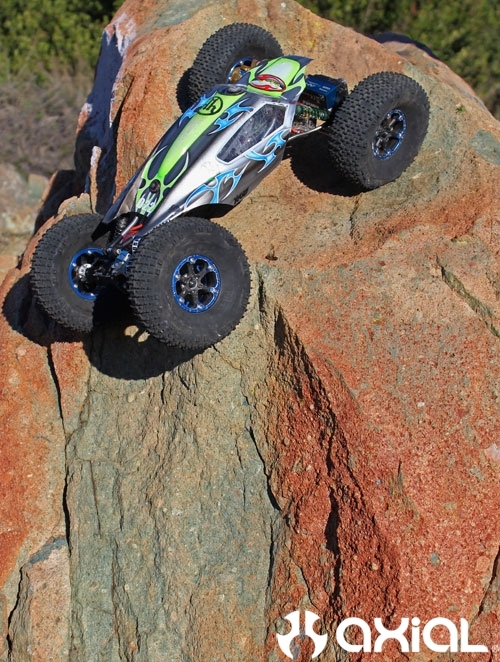 I can see many similarities between this form of racing back in the day and R/C rock crawling back in 2004 and 2005. Back then rock crawlers had to hand fab 75%, if not more, of their rig themselves. 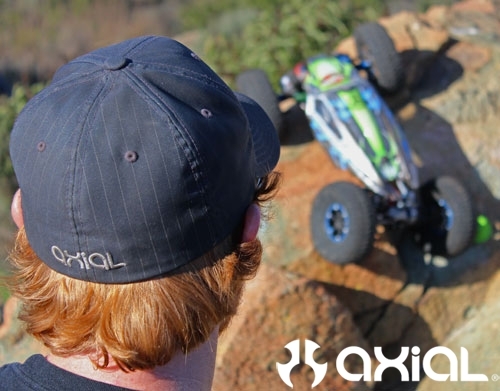 Not long after Axial came in and brought crawlers to the masses, and saved everyone a ton of fab time, and let us concentrate on making cool custom scale mods to our crawlers. While scale detail is all the rage right now. It seems that these pioneers were on the cutting edge of scale realism, before scale realism was cool. It is great to see the hobby come back around to it’s original roots after 45 years. Very interesting……. The video!! Sit back, grab a drink, some popcorn and settle in for a little R/C History 101!! The volume is set extremely low in the video, so you may need to turn your volume up to hear the narration, as it is worth listening to.